30MM_S5825_ASAG_GOLF_C Genuine Italian Calfskin Lined with Soft Glove Leather. 1 1/8 inches wide. Sizes Available from 32" thru 54". Antiqued Silver and Gold Plated Buckle Set and Matching Metal Keepers and Tip. 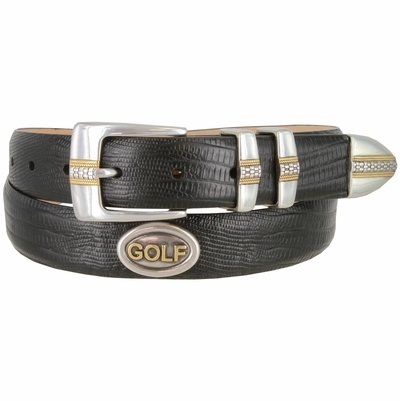 Comes with Golf Conchos around the belt and 7 adjustment holes.